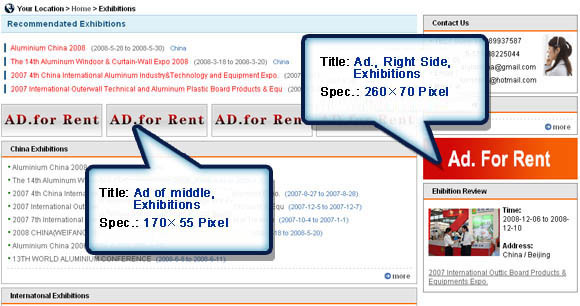 Why advertise with www.alu.com.cn ? www.alu.com.cn is a B2B marketplace for global manufacturers, exporters, importers, and distributors involved in the aluminium industry. 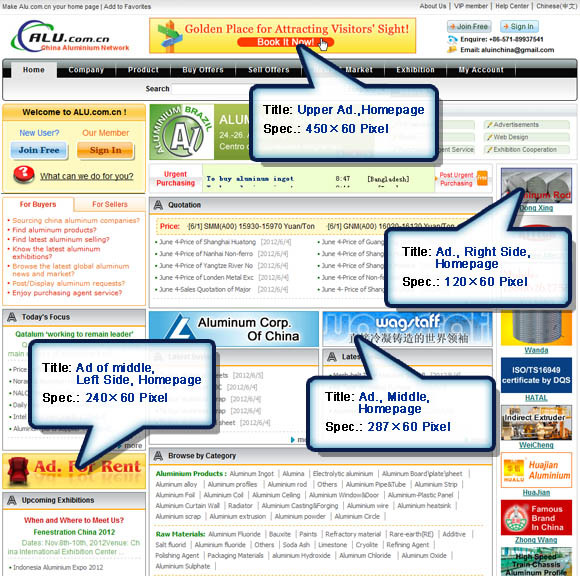 We serve as on-line portal for worldwide companies to introduce and advertise themselves in front of millions of potential buyers and sellers. We are the top portal for China aluminium industry. 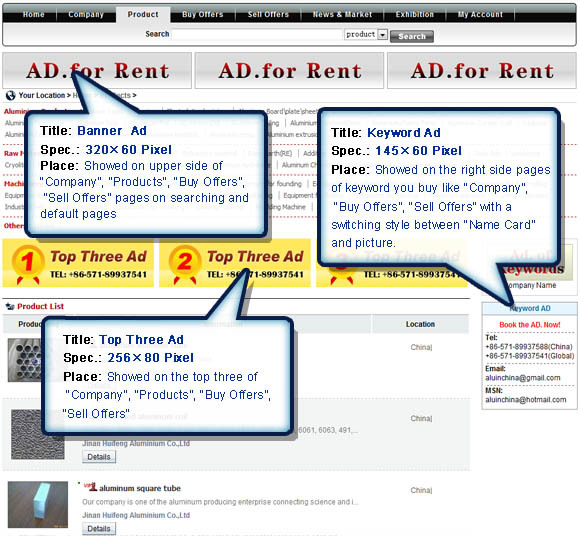 Advertising on our website allows you to customize your campaign to reach your target audience.